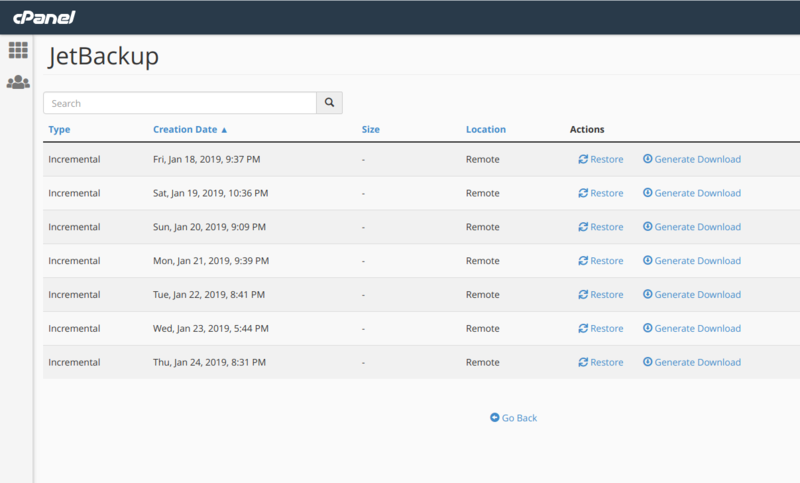 /cPanel - Control Panel /How to restore or download your full cPanel Backup? This is valid for all Shared, Reseller, Semi-Dedicated & WordPress Hosting Clients. We provide daily backups with our shared, reseller, semi-dedicated & wordpress hosting services. These backups are taken on a nightly basis and kept for 7 days. Which means that at any given point of time you will be able to acess the past 7 versions of your files. 3. You will see the restore points with the dates. Click on “Restore” to restore the backup of the date which you select. Or you can click on “Generate Download” to download the account backup. Once it is completed, you will see the status “Completed”.